October 25, 2017. Norman Steinberg is one of the single best writers of comedy in the history of the genre. Norman’s work has been recognized with an Emmy Award, a Writer’s Guild Award and a British Academy Award nomination. He has written or co-written screenplays for numerous films including some of the greatest movie comedies of all-time, including, listen to this, “My Favorite Year,” “Johnny Dangerously,” “Mr. Mom,” and a little movie called “Blazing Saddles,” on which Norman worked with no less than comedy legends like Mel Brooks, Richard Pryor, and Andrew Bergman. Norman Steinberg is one of the single best writers of comedy in the history of the genre. Norman’s work has been recognized with an Emmy Award, a Writer’s Guild Award and a British Academy Award nomination. 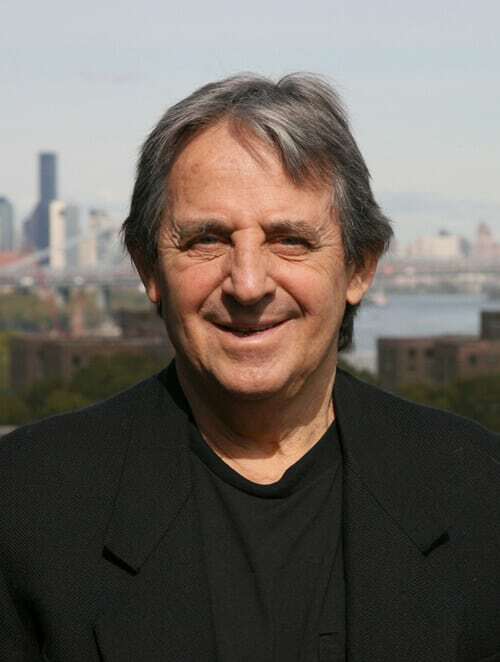 He has written or co-written screenplays for numerous films including some of the greatest movie comedies of all-time, including, listen to this, “My Favorite Year,” “Johnny Dangerously,” “Mr. Mom,” and a little movie called “Blazing Saddles,” on which Norman worked with no less than comedy legends like Mel Brooks, Richard Pryor, and Andrew Bergman. For TV, he has served as writer, creator, showrunner and executive producer, leaving his mark on such programs as “Cosby”; “When Things Were Rotten”; “Doctor, Doctor,” and Showtime’s “Paradise”. He’s been a teacher for many years. He’s taught Writing Seminars at Johns Hopkins University and at the American Film Institute. He created Long Island University’s acclaimed TV Writers Studio, which is a one-of-a-kind writing practicum, the goal of which is to educate and to develop highly skilled, experienced professionals with strong portfolios who will be prepared to begin careers in the television industry as writer/producer/entrepreneurs. A graduate of the University of Maryland and the University of Pittsburgh School of Law, Norman also was a practicing attorney, specializing in entertainment and copyright law.